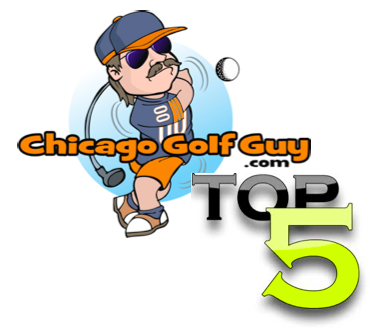 The Memorial Tournament is a PGA Tour golf tournament founded by Jack Nicklaus. It is played on a Nicklaus-designed course at Muirfield Village Golf Club in Dublin, Ohio, a suburb north of Nicklaus’ home town of Columbus. As a restricted field event on the PGA Tour, only the first 75 players on the previous year’s money-list are guaranteed invites. Muirfield Village Golf Club has hosted (besides the Memorial Tournament each year for the PGA Tour) several national championships and international team competitions, including the 1992 U.S. Amateur, 1987 Ryder Cup, the 1998 Solheim Cup and the 1986 U.S. Junior Amateur. It and The Greenbrier in West Virginia are the only two places to have hosted both the Ryder and Solheim Cups. Muirfield Village has also been selected to host the President’s Cup in 2013. When asked whether he would be interested in captaining the U.S. squad in the matches on his home course, Jack Nicklaus responded that although he would enjoy it, he believes captains should be more “current” with the players on the team. But what happened this year at the Memorial, well let me tell you. Scott Stallings a PGA Tour winner (he won the Greenbrier Championship last year) is our first round leader with Spencer Levin a close one shot behind. You might remember Spencer as the 54 hole leader at the Waste Management Open only to succumb to the 2012 stigma of leading through three rounds only to fall victim to a difficult Sunday afternoon. Other notables on Thursday are Rory Sabbatini -3 and Araon Baddeley -3, and Brandt Snedeker -3. Tiger Woods had a nice showing with a -2 under par 70. My guy Dustin Johnson is back from injured list, and came back with a solid -1 under par. Not bad for a guy who has been out for most of the season, and easily the last 3 months. The Memorial is one of my favorite tournaments, not only because it is Jack Nicklaus’s tournament, but because it is one the few tournaments that has kept its original name. I love the fact that this week the pros are playing in the Memorial Tournament presented by Nationwide Insurance. The The Nationwide Insurance Memorial Tournament. I believe that name only remains because this is Jack’s tournament, and he won’t let them change it. Bravo Jack, Bravo. Previous I shot 69 and lost by 14 shots… nope not at Putt Putt!